Once Upon a Time Crossover. 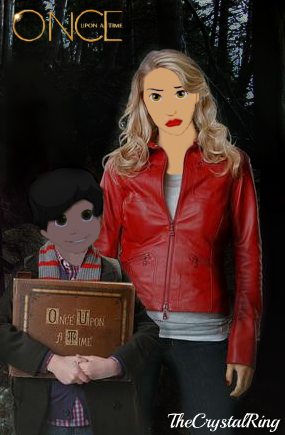 Emma angsa, swan and Henry Mills of Once Upon a Time, Disney-Style. Henry is a black-haired version of Cody from Recusers Down Under, and Emma is an OC of Helga (head and lips), Belle (eyes), and Ariel (nose).. Wallpaper and background images in the disney crossover club tagged: disney crossover once upon a time emma swan henry mills cody helga belle ariel. This disney crossover photo might contain tanda, poster, teks, and papan tulis. This is great! I'm a huge fan of Once Upon A Time and I love this style:-) Thanks.